When in Las Vegas, make a side trip to see Hoover Dam in Boulder City, approximately 50 minutes away. 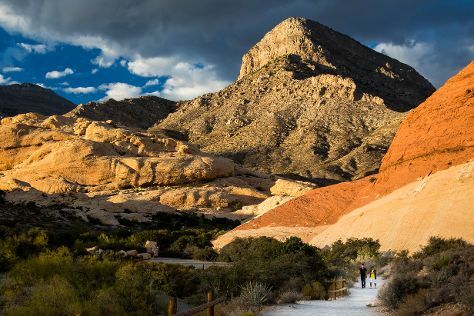 There's still lots to do: explore the stunning scenery at Red Rock Canyon National Conservation Area, take a stroll through The Strip, push the limits with an extreme tour, and enjoy breathtaking views from Eiffel Tower Viewing Deck. To find where to stay, photos, reviews, and more tourist information, read our Las Vegas route planner. May in Las Vegas sees daily highs of 87°F and lows of 64°F at night. Wrap up your sightseeing on the 15th (Wed) early enough to travel back home.